We can all recall times when we’ve felt unwell with headaches, itchy eyes or a dry throat. Sometimes, and often for no apparent reason, a cluster of people working in the same office building or factory report these sorts of symptoms all at the same time. Their health might improve when they are off work on holiday, or at the weekend. This is the type of illness which is sometimes referred to as sick building syndrome or SBS. Currently sick building syndrome isn’t a recognised, diagnosable health condition. It tends to be a catch-all term used to describe these sorts of issues connected with offices and other workplace environments. Don’t confuse sick building syndrome with other, specific health problems which can be caused by the environment at work, such as Legionnaires’ disease or exposure to substances like asbestos, mould or radon. Furthermore, sick building syndrome isn’t about it being too hot, too noisy or too cold in the workplace. There have been dozens of studies into what causes this syndrome, but scientists have not been able to pin down an exact cause. It is most likely a combination of several factors. Scientists group the factors causing sick building syndrome into two main groups, environmental and job specific. 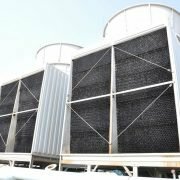 Environmental factors are issues such as ventilation, cleaning regimes, materials of construction and how the office or workplace is laid out. Job factors are more about the tasks that are actually completed by the workers. 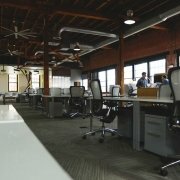 Design of open plan offices accommodating at least 10 workers or more. Areas used for filing or shelving. Type of lighting, and how it is positioned. Type of ventilation, and more importantly, how much control workers have over it. Standards of general repair and maintenance. Cleanliness and maintenance regime in the workplace. High temperature or swings in temperature during the working day. Chemicals in the air such as ozone, smoke, VOCs from furnishings. Staff doing very routine clerical tasks. 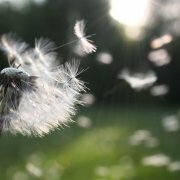 Lots of these factors are connected. 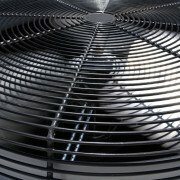 If your building ventilation systems not up to the job or are poorly maintained, then it stands to reason that this can cause problems with dampness, airborne contamination, build-up of carbon dioxide or control over workplace temperatures. 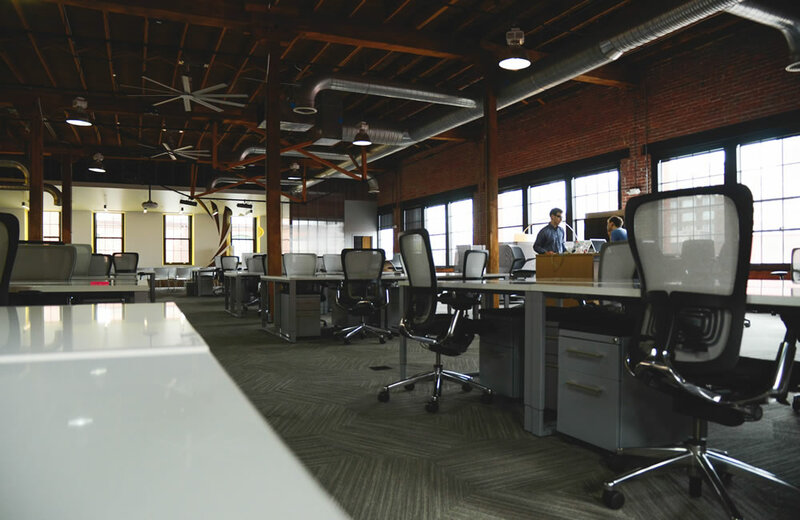 If you’ve recently refurbished the office with new partitions, decorations, carpets, blinds and sofas, these can release chemicals into the air that can also have an adverse effect on health. Can the type of work activity being carried out make matters worse? It is also known that these sorts of environmental factors can be made worse by the types of work being carried out in the workplace. Workers are more likely to complain of illness if they feel they have no control over their working conditions, or if the work they are doing is very routine. Anyone can suffer the effects of sick building syndrome. However, most cases are reported by people who work in open plan offices. Most people who raise concerns are employed doing clerical tasks, or using computer screens for most of the day. More cases are reported by women than by men, but this may be because more women are employed in these types of clerical roles. Given that a lot of factors associated with sick building syndrome are down to how the building was originally designed and built, it can often be very difficult (and expensive) to address the problems at a later date. Alterations might be theoretically possible, but prohibitively expensive. Sick building syndrome should therefore be considered at all stages of building or refurbishing a workplace. Your aim shouldn’t be solely to comply with current Building Regulations. Put effort into the most cost-effective ways of providing the optimal working environment for the people who’ll work there. 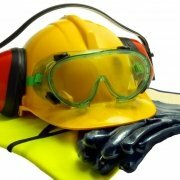 What should I do if workers are reporting sick building syndrome? If your staff start complaining about some of the symptoms which are linked to sick building syndrome then start investigating right away. Don’t assume this syndrome is the cause – it may not be. 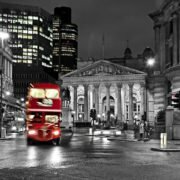 The symptoms may be caused by something else, or a number of factors, all of which need to be addressed systematically, across several areas of the business. Let your workers know that you’re taking their concerns seriously and are investigating the issues properly. On the other hand, don’t assume you know what the problem is and start making expensive changes which might not get to the root of the problems. Start by looking at the most likely causes of the problem and make simple changes to see whether things improve. Indoor air quality testing may also help to identify the issues, especially if poor ventilation or airborne contaminants are identified. Move on to the more expensive solutions only if the simple fixes fail to solve the problem. Keep staff fully informed about what progress you are making. If staff have been working in an office for many years without issues, a sudden spike in complaints may have a very simple explanation. Before you rush headlong into a full investigation, look at other possible explanations such as the usual peak of colds and flu in winter. If you don’t see anything obvious, then you’ll need to look at more detailed investigation. Analyse staff absence and sickness files to see if you can see if one area of the building appears to be affected more than others. If this does seem to be the case, get a doctor in to speak to staff and see whether a diagnosis is possible. The best way to get all of the details you need on the symptoms of sick building syndrome in your workplace is to ask your staff a series of questions and record the answers to see if there are any common issues, or trends that will give clues to the cause. If the results are inconclusive, then look again at the overall workplace environment. Ask staff to report any problems they encounter, whether this is fumes, stuffiness, problems with controlling the temperature or flickering lights. You could also carry out a wider staff survey covering general attitudes to work and the workplace. Reassure staff that they should be totally honest, and that positive action to address the problems will be taken where possible. Interpret the results carefully. One person might find a workplace temperature unbearably hot and stuffy, while their colleague at the next desk reports shivering with a cardigan on. If acting on complaints from individual staff members still doesn’t help, the next step is to carry out a full review of how you are managing, maintaining and cleaning the building. Look at your processes compared with and specifications drawn up at the time of construction, if it is possible to do so. If all else fails, turn to the air quality experts at WTS for help. It is the job of our indoor air quality and built environment specialists to investigate the overall quality and performance of your workplace and suggest any necessary improvements. A doctor or occupational health specialist should also be able to help identify staff who have had an allergic reaction or are being irritated by chemicals. You may also choose to measure the indoor air quality, to try to identify any pollutants, air flow and other issues. An ergonomist can also help you with planning a comfortable and efficient workplace, and help improve staff morale. All this doesn’t have to cost a fortune, especially if you start by looking for the simple, quick-fix issues first. Only get the experts in if you can’t remedy the problems easily. It is essential to progress in a methodical way, make sure that by making changes, you’re not actually making things worse. 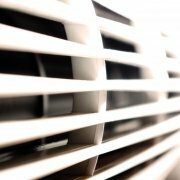 Installing air-conditioning might seem an obvious solution to temperature problems, but can be very disruptive when work is underway and can make the problem of dust and noise seem even worse. 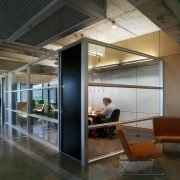 Even simple ideas such as putting up partitions to give staff a bit of privacy can have the unexpected consequence of stopping air flow. Cleaning out ducting might have the side-effect of releasing a quantity of dust into the workplace. Look at each measure in terms of its overall benefits to the workplace and your staff, and the costs. WTS offer a comprehensive range of indoor air quality testing and workplace investigation solutions to support business owners, property managers, health and safety professionals, and facilities management specialists. Our experts can provide advice and support to help you identify the most appropriate strategies for the identification and investigation of sick building syndrome issues. Contact us today to learn how our workplace inspection and investigation solutions can help you keep you, your staff and other people safe.